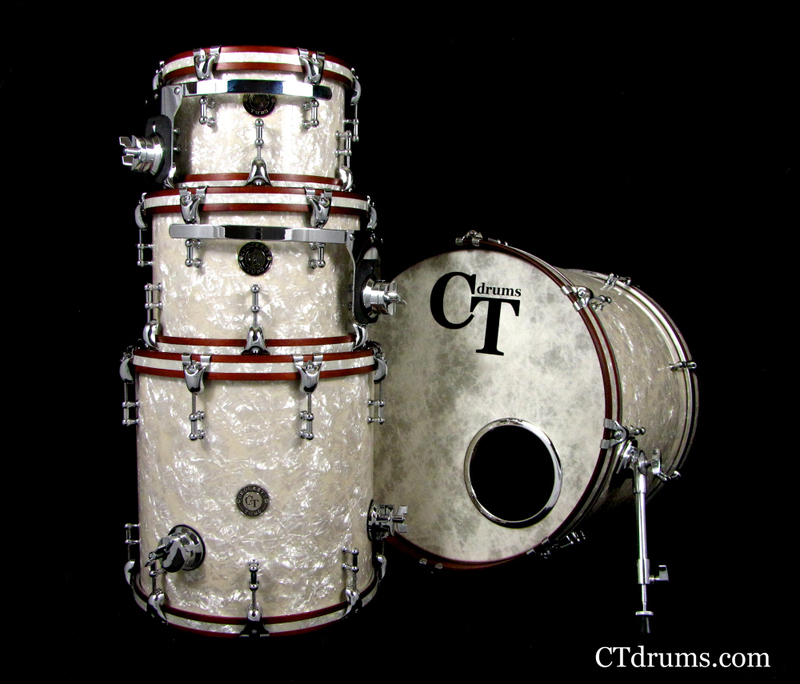 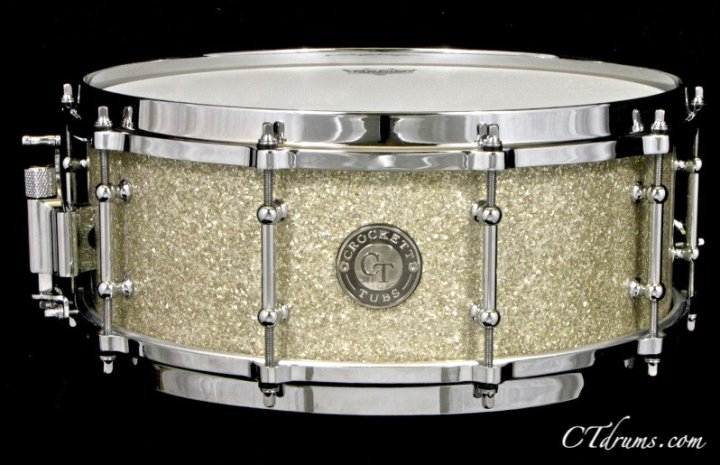 A Players Series maple 10ply shell wrapped in our popular silver glass glitter and chrome hardware. 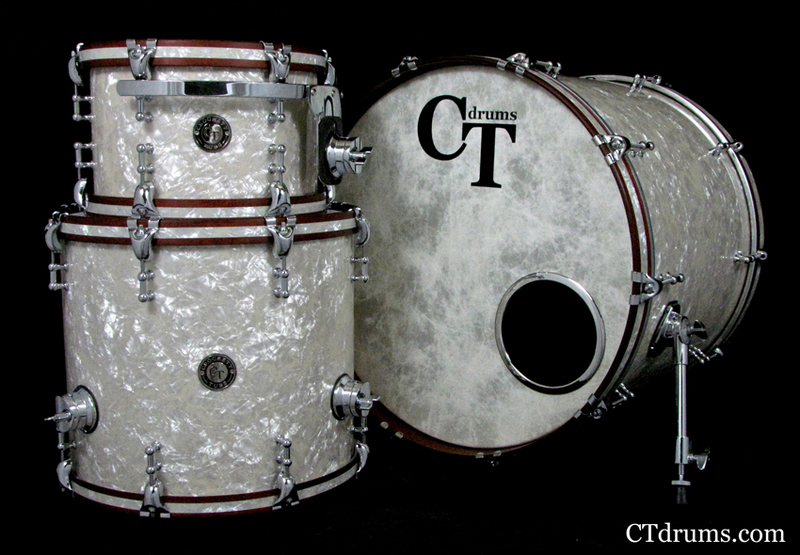 The silver glass glitter really shines under stage lights and pick up the stage lights beautifully. 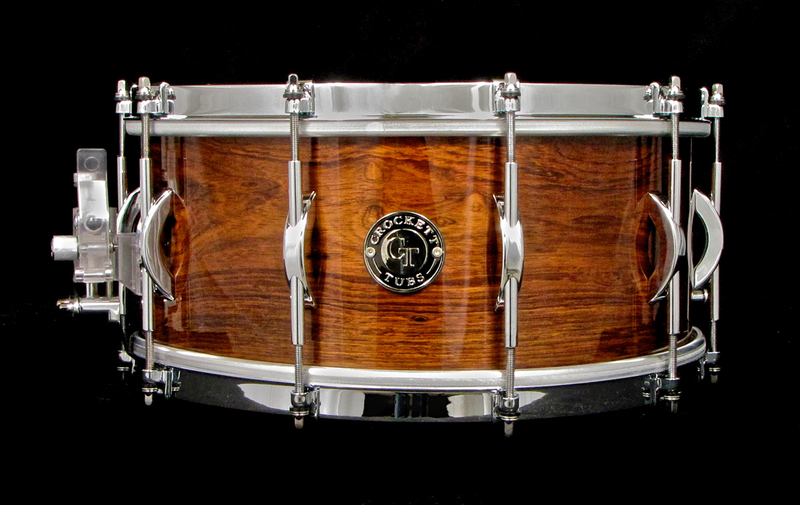 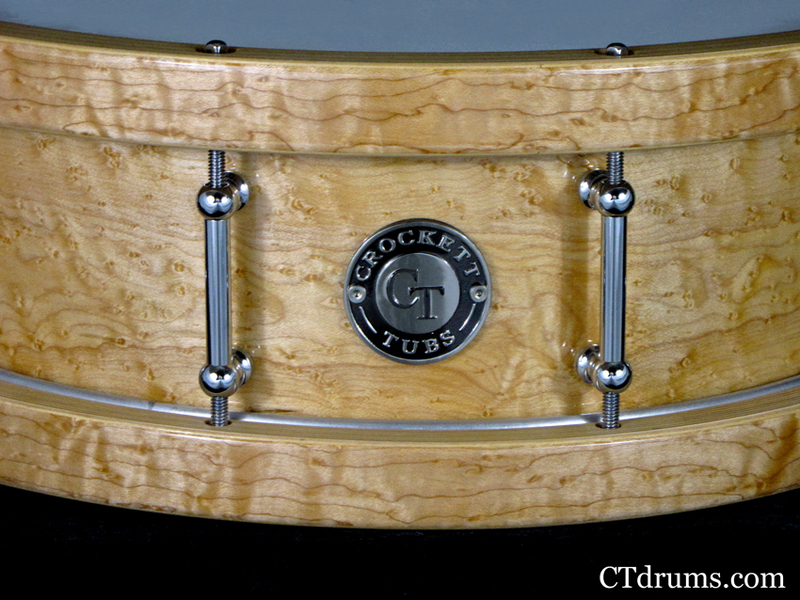 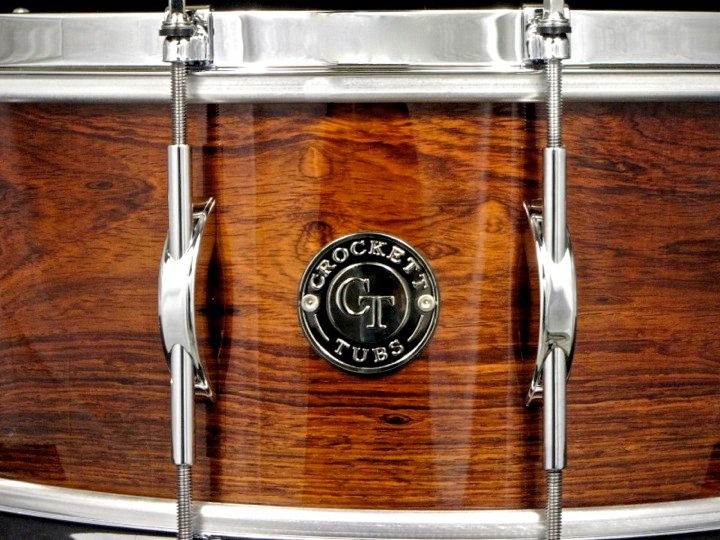 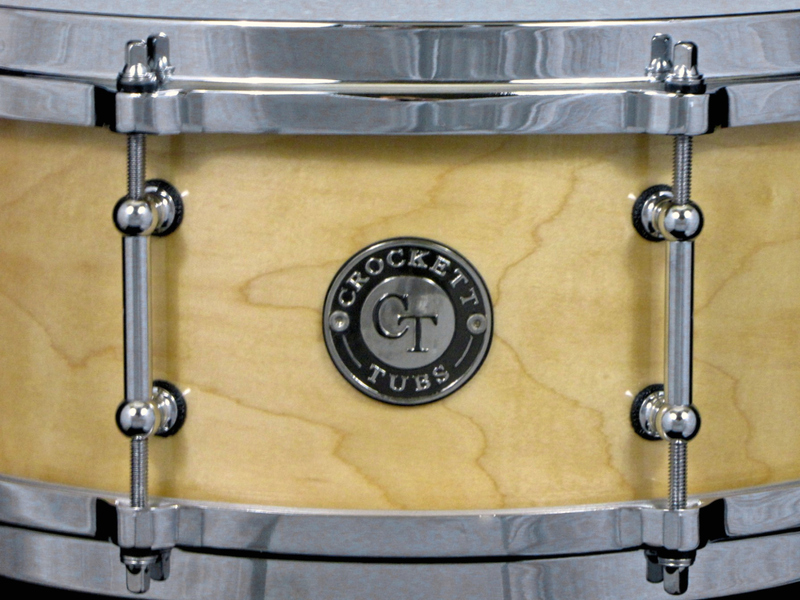 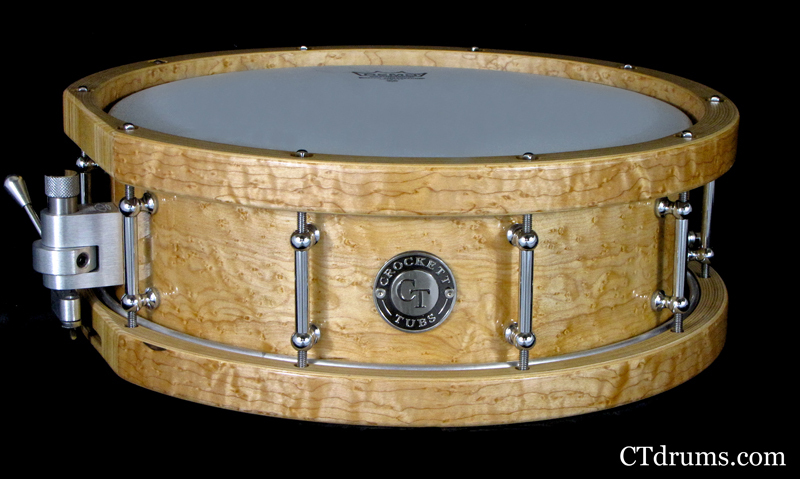 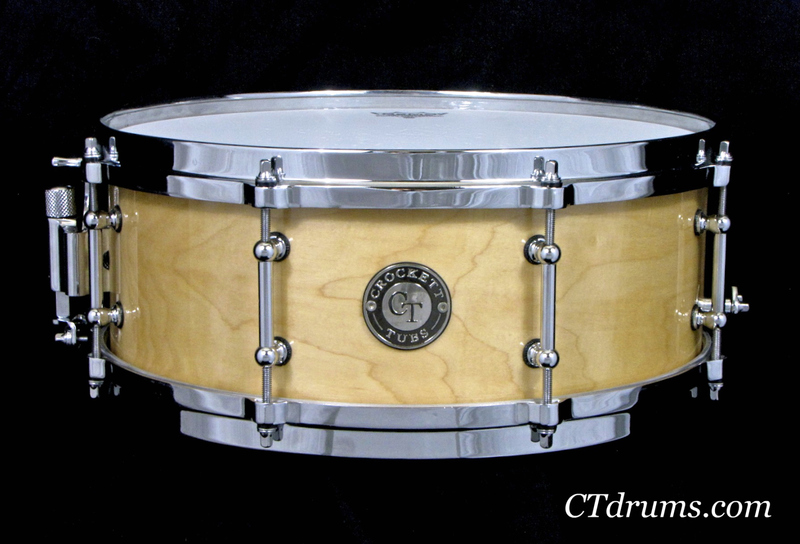 This 5.5×14″ size creates a versatile drum and the thicker 10ply shell adds tons of crack and sensitivity. 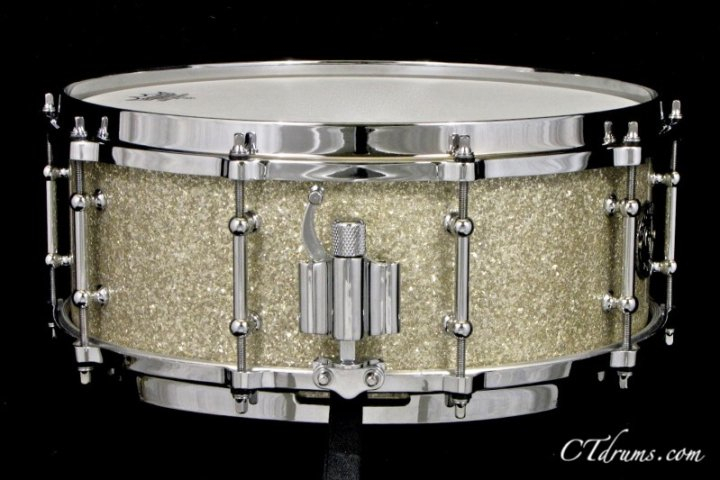 All chrome hardware matches the silver glass stunningly, including full length solid brass tube lugs, the added die cast hoops for better rimshots, a RCK throwoff, and German brass snare wires. 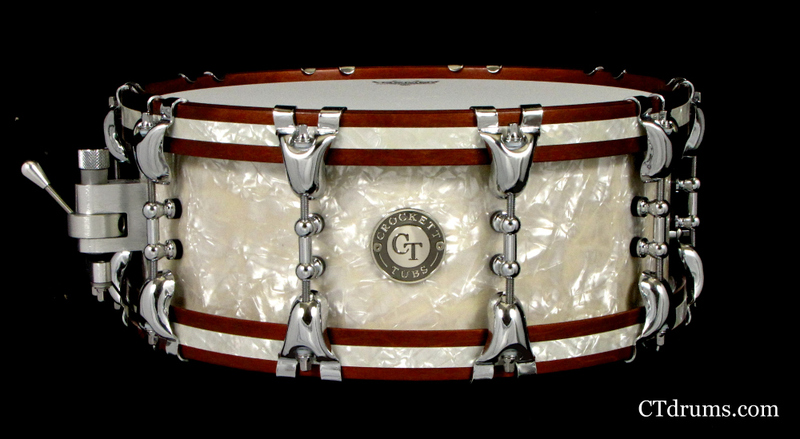 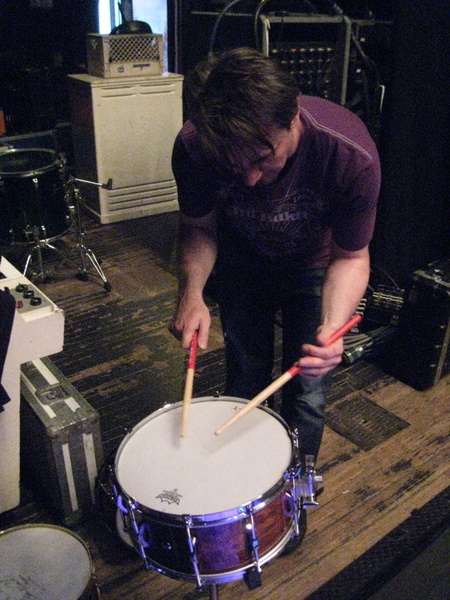 A unique snare drum that has a great metal sound. 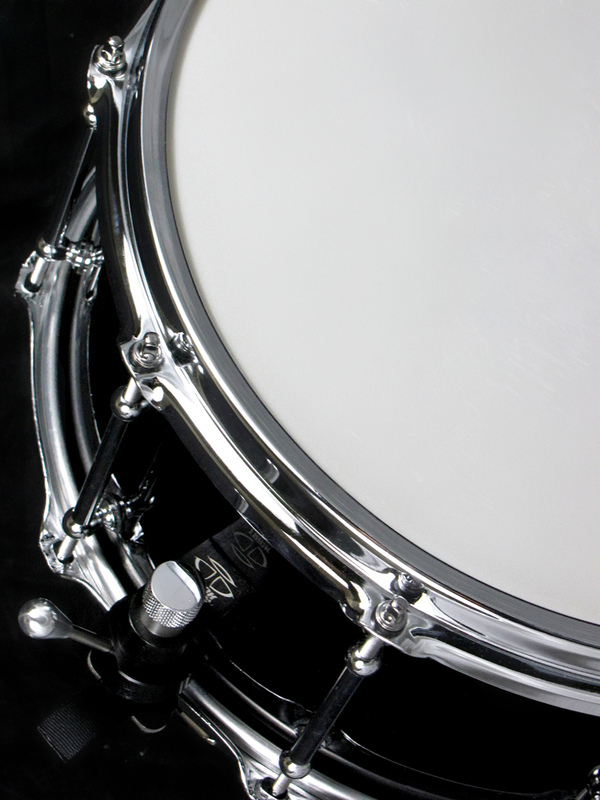 Our Aluminum Series feature a 1/8″ thick shell (the equivalent to a 3.2mm shell, instead of a typical thinner 1mm shell) which we cut a fully rounded bearing edge. 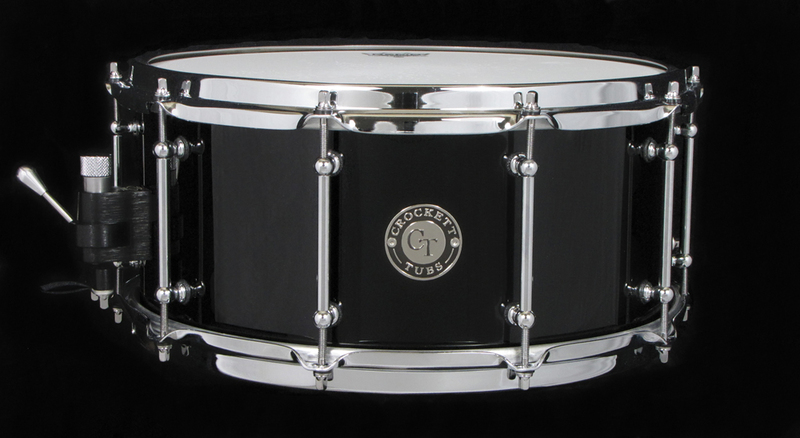 This helps add a smooth shell to head contact that adds extra focus and deep tone to these shells. 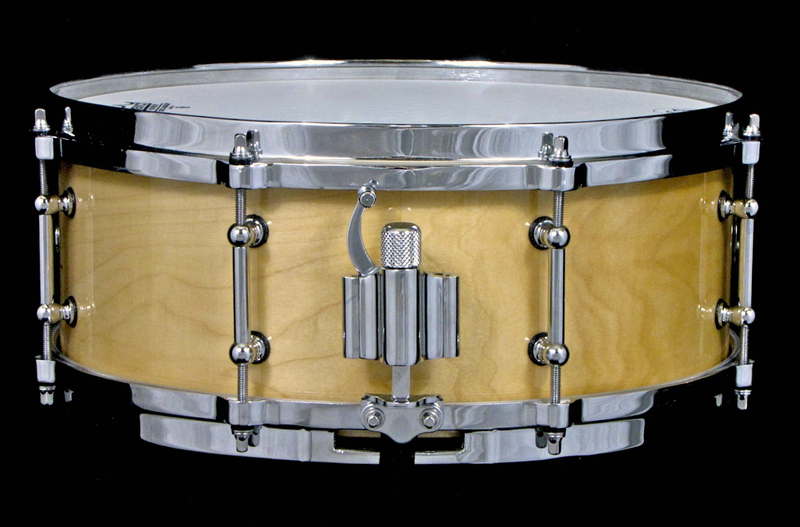 Aluminum is the driest of metal shell sounds with a bit of crunchy tone. 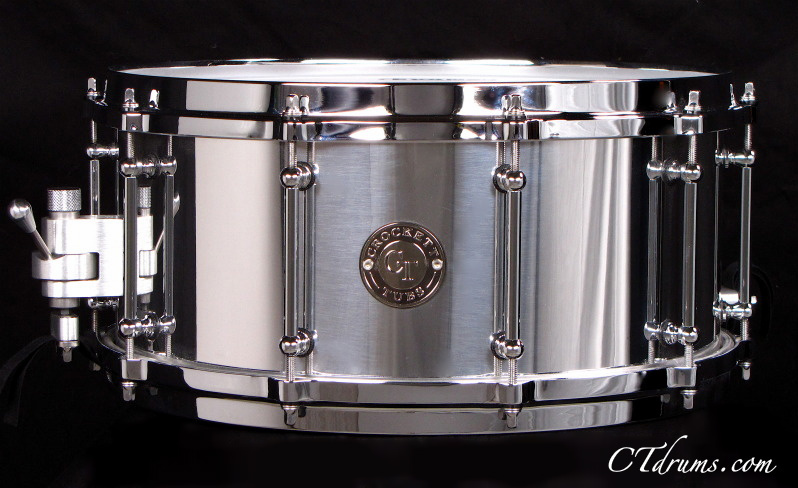 Inherent aluminum shell sounds with our rounded bearing edge and smooth snare beds creates a fully blended metal snare that is great for any player that needs a powerful live sound and that great recording tone. 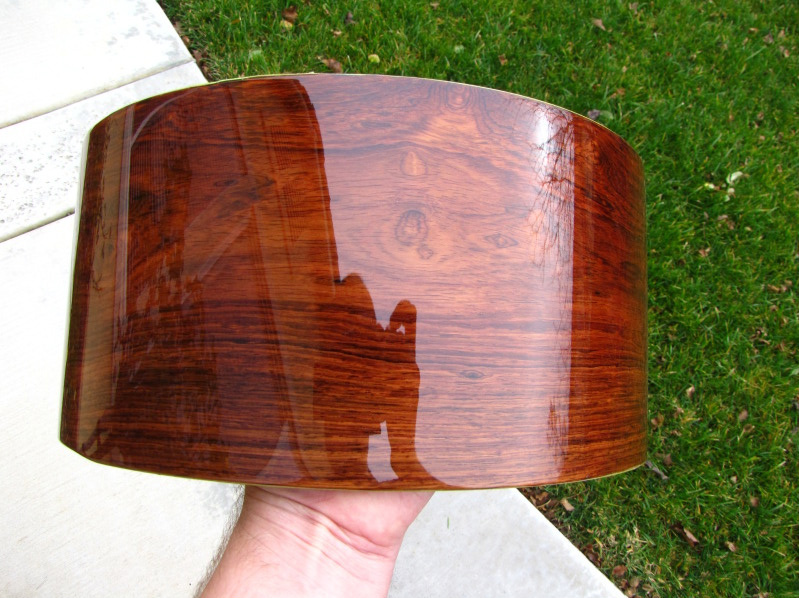 Shown here in our upgraded mirror high polish, also available in our standard brushed natural finish as well.